Home Costs > How Much Does It Cost to Install Soffit and Fascia? How Much Does It Cost to Install Soffit and Fascia? Fascias are the horizontal strips that cover the end of the rafters underneath the roofline of your home. To create a picture, the fascia is what your gutters will attach to. The soffits, on the other hand, will cover the bottom of the fascia to the outside walls of your home. These two items, when combined, will protect your home from moisture damage the outside elements. When using a professional to install, your estimates will depend on the configuration of your home. Fascias for brick, concrete or stone, for example, could cost about $8 to $25 a linear foot for a flat or sloped roof. This price will greatly depend on the exact roof shape and its height. Painted wood fascia can be inside the $3 to $8 a linear foot range and an additional $3 to $6 a linear foot if you were to use an aluminum-based material. As for the soffits, the price can be in the $5 to $10 a lienar foot range, depending on the material. Aluminum will be about $5 to $10 a linear foot, while painted plywood will be $3 to $8 a linear foot. When combining the two, the estimated costs can be a total of $13 to $50 a linear foot. Again, with so many variables, it’s best to talk with a few contractors to get an exact quote. Since so many jobs are unique and it’s hard to pinpoint the exact costs, consider reaching out to multiple contractors. To save you time, we recommend HomeAdvisor.com. Here, you simply explain your job and licensed contractors in your area will contact you with quotes. It’s free and only takes minutes. Those who want to do it on their own should be prepared to spend about $1 to $5 per linear foot for either wood or vinyl materials. Again, if you were to upgrade to an aluminum-based material, then the costs could be up to $10 for a DIY job. HGTV says you should be prepared to spend about $20 to $30 a linear foot if you were replacing your soffit and another $15 to $25 a linear foot if you were replacing your fascia. The estimates mentioned above, if you were to choose a professional contractor, should include the removal of the old material, followed by the installation of the new soffit and fascia. If you were to choose wood, then it should be painted afterward. This, depending on the contractor’s billing policy, may or may not be included in the quote. 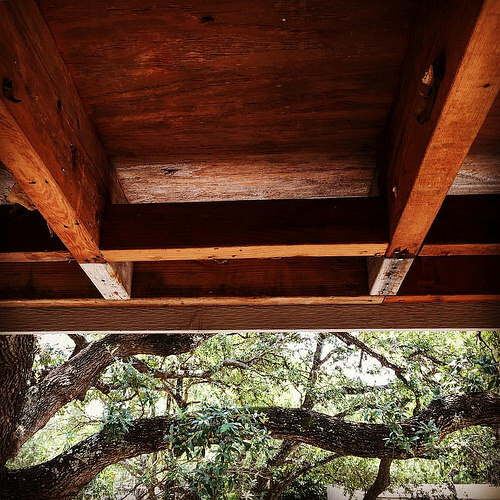 Before the soffit and fascia are even installed, a reputable contractor will inspect the eaves, roof and the supporting joists to ensure they are good. It makes no sense to install new soffits and fascia if the underlying materials are in poor condition. In some circumstances, new gutters may be recommended when the soffit and fascia are being replaced. If you were to install new gutters, this could add $500 to more than $5,000 to your total bill, depending on the amount needed and materials being used. Again, as mentioned, if you were using wood, painting may be an additional price to think about. If you were to do it on your own, you will need the necessary supplies in order to complete the job properly. This can include a hammer, tape measure, screwdriver, utility knife, tin strips, circular saw, miter box, ladder and safety glasses. Most of your soffits and fascia will traditionally be made from aluminum and wood; however, today, there are synthetic and composite materials, such as UPVC and vinyl, for easy maintenance and durability. The materials can also be made from recycled materials. If you live in a homeowners association, refer to your documents to make sure you’re meeting the style and color requirements. Some associations will have strict guidelines and failing to abide by them may mean redoing the job. Vinyl, which tends to be a popular option, does have its advantages. It’s cheaper, energy efficient and can be more durable for the long haul; however, vinyl is highly flammable and can create a “cheaper” look for some. Get three bids or more from licensed and insured contractors. When getting quotes, always make sure they are licensed, insured and have great references. If possible and the job isn’t urgent, then consider haggling on the costs. Contractors often cut a discount if you were to use them during a slow period. In some cases, a simple repair may all that you need. Before you commit to a full replacement, see if a few repairs make sense.